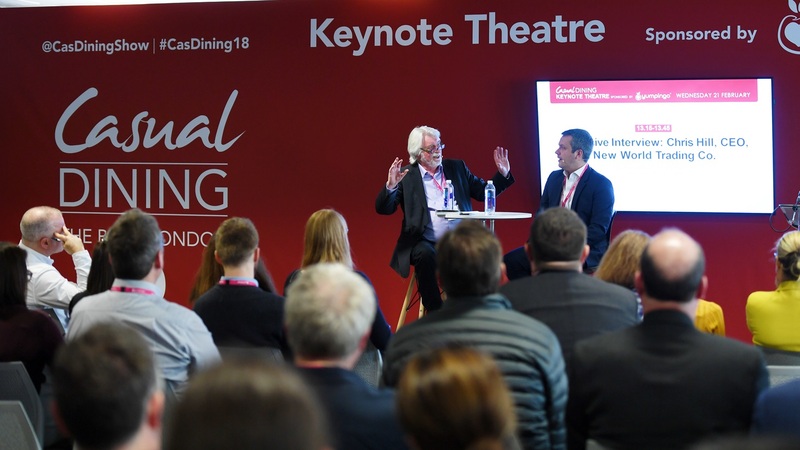 On-Trade Progress are pleased to once again be supporting Casual Dining – the definitive industry trade show for pubs, bars and restaurants – as official media partners for 2019. Thousands of key buyers and decision makers have already confirmed their attendance at the show, which will take place at the new venue of ExCeL over 27-28 February. Among the other names to feature on the visitor list are: ETM Group, Whitbread, Fuller’s, Admiral Taverns, Loungers, New World Trading Company, Oakman Inns, Yummy Pub Co, Hall & Woodhouse, Peach Pubs, Charles Wells, S A Brain & Co, Daniel Thwaites, The Alchemist Bars & Restaurants, Brewhouse and Kitchen, Whiting & Hammond, UKHospitality and British Institute of Innkeeping (plus hundreds of regional pub groups, student unions, hotel bars, and social clubs etc). To see the full exhibitor list (including food, beer, wine, cider, spirits, mixers, soft drinks, hot drinks, catering equipment and tech, interior design and furniture, table top, payment solutions and business services), please visit www.casualdiningshow.co.uk/exhibitor-list. • Anna-Marie Mason, director of brand marketing at Mitchells & Butlers, outlines how to design and deliver the ideal guest experience, to meet and exceed their expectations, profitably. • Chris Hill, CEO of New World Trading Co / The Florist, joins other industry high flyers (including Sarah Weir, MD of Albion & East and Steve Moore, CEO of Flight Club) to talk about the journey so far and what’s next for their brands. • Menu innovation in pubs – Chris Knights, group executive chef at Young’s Pubs, Paul Dickinson, director of food at Fuller’s, Seamus O’Donnell, executive chef at The Alchemist, Ross Pike, chef director at Oakman Inns, and chef Jay Morjaria, winner of the BBC’s My Million Pound Menu, discuss their strategies for staying innovative and profitable in 2019 and beyond. • David McDowall, CEO – Retail at BrewDog, charts the rise of BrewDog bars and gives his take on the current state of the pub sector (interview with Peter Martin, director of CM&Co & VP of CGA). See the show’s website for full timings and further seminar details: www.casualdiningshow.co.uk/keynote-programme. To register for a free trade ticket, please visit www.casualdiningshow.co.uk and use priority code CD117.